Last weekend Mars and I took our “Lil’ B” down south to St. George (Utah) for a day of play. 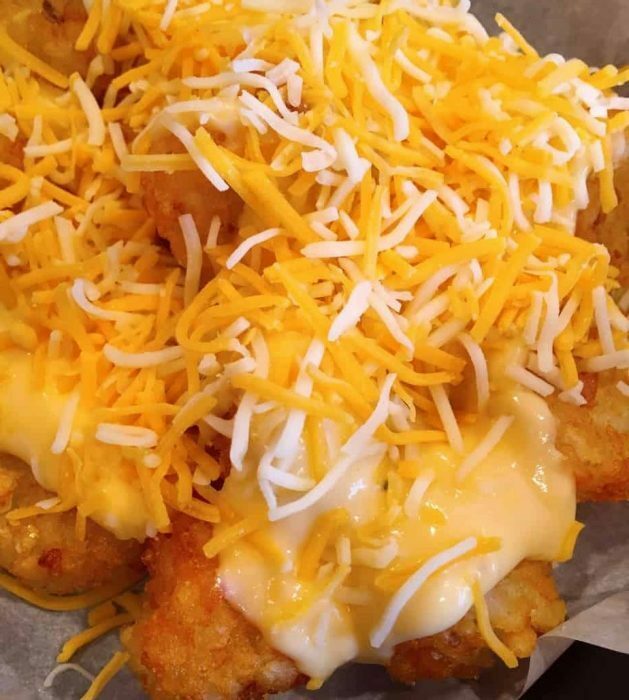 We had heard that there was a sandwich place that served these incredible Loaded Tater Tots. (Hey! Any type of potato that is fried, with the word “loaded” attached… is part of my food pyramid!) So we decided we’d give it a try! I don’t mind beer cheese…but…there has to be balance! These Loaded Tater Tots had all the elements necessary to be AWESOME…but that “beer cheese” sauce (I’m using the word “cheese” VERY loosely! GAG!) RUINED the entire dish! Those poor tots were staggering around on the dish! The key is to start out with a GREAT homemade cheese sauce. Now you can cheat and use Velveeta Cheese sauce packets or a pre-made Nacho Sauce. My homemade version is so good that I highly recommend taking the extra time to whip it up. Let’s do that! In a medium sauce pan, over medium low heat, melt 2 Tablespoon of butter. Whisk in 3 Tablespoons of flour until thick. 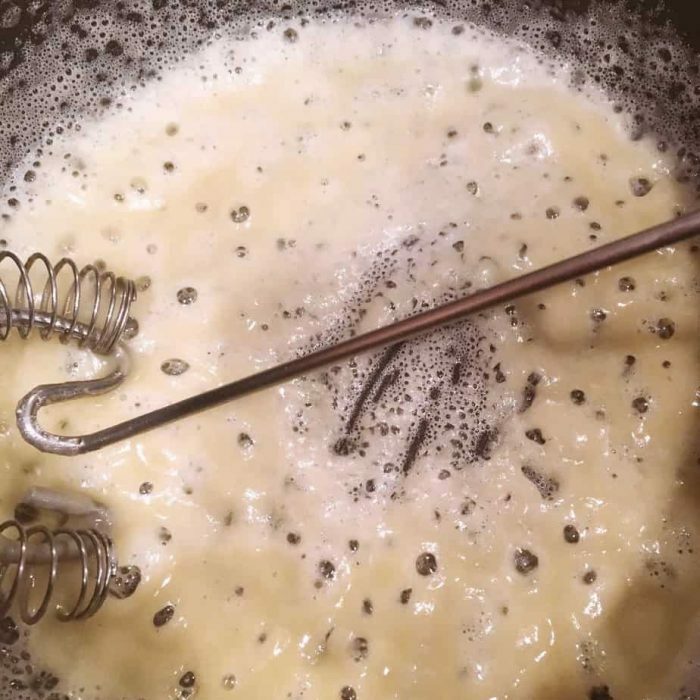 Whisk in 1 1/2 cups of milk until smooth. Add salt and pepper to taste. Add 1/4 cup Cheddar Cheese Chunks and 2 string cheese cut into chunks. Stir until melted. 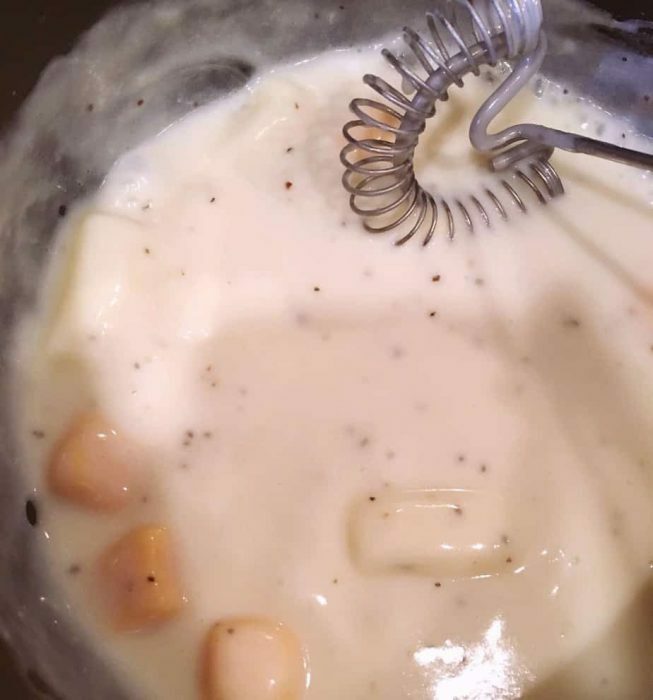 If it’s too thick add a little extra milk. 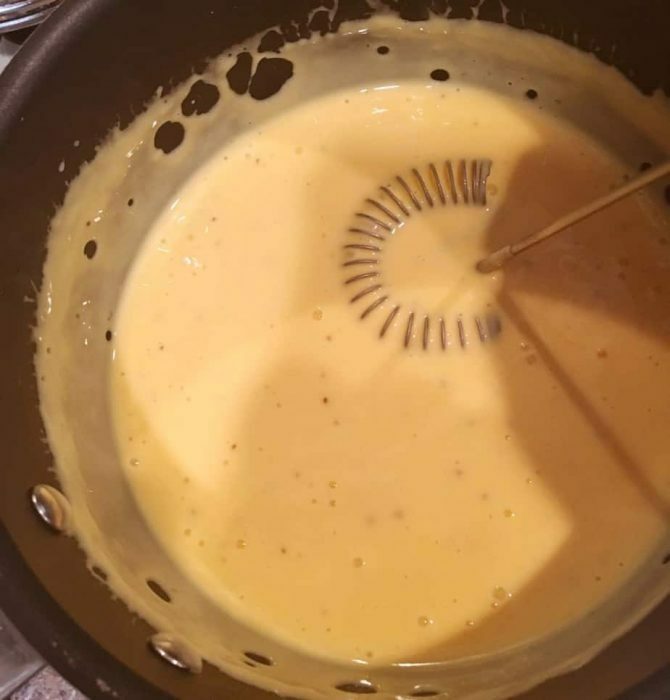 Stir in half a packet of Velveeta Cheese Sauce. Blend well. It’s all done! Set aside. Time to show some love to those little “Tots”! I wanted EPIC Loaded Tater Tots. That could mean only one thing in my book…”How to maintain chunky thighs at 50″… (sorry I couldn’t resist that one! lol) I was going to have fry those little golden gems of happiness! You can cook them in oven too…but the crisp you get with frying them is top notch! 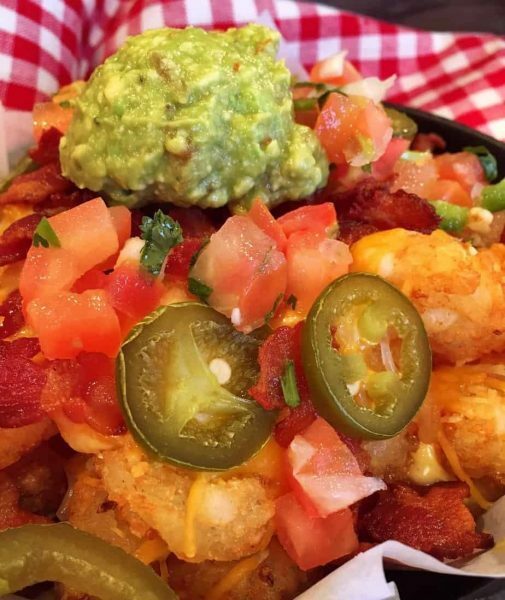 Okay… back to the “Tots”! I used Ore Ida Crispy Crowns in the 30 oz. bag. 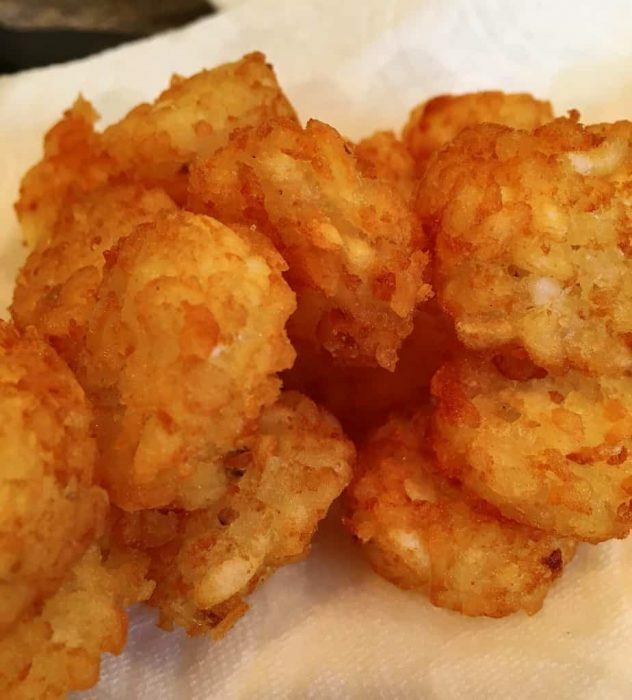 You can use regular Tater Tots if you prefer. I just love the “crowns”. You’ll use 1/2 the bag for this recipe. Pour 1 inch of vegetable oil in the bottom of a medium sauce pan and heat over medium high heat. 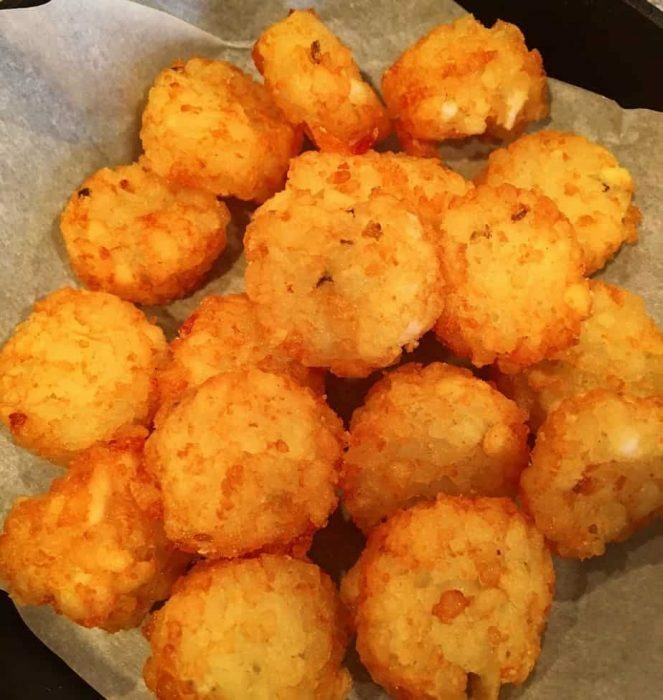 When oil is hot, CAREFULLY place a large handful of Tater Tots on a mesh strainer ladle and place them in the hot oil. Fry until golden and crispy. Carefully remove from oil and place on a paper towel lined plate. Season with salt. Continue frying until you have cooked half the bag of Crispy Crowns. Preheat over to 350°. Use parchment paper to line a small cast iron skillet or pie plate. This will make clean up a breeze when you’re done. Place half the fried Tater Crowns in the bottom of the dish. Spoon Cheese sauce over the top of the Crispy Crowns. Sprinkle 3/4 cup of grated Cheddar Jack cheese over the top of cheese sauce. The combination of both types of cheese is remarkable in this dish! Top with Bacon Bits and sliced Jalapeno peppers. Look at all that YUM! That amazing homemade cheese sauce running down those crispy tater’s like molten lava! Place in preheated oven and bake for 15 minutes, until cheese is melted. You can dance around the kitchen in anticipation…or you can whip up the Guacamole! Your choice…I may have been doing both! 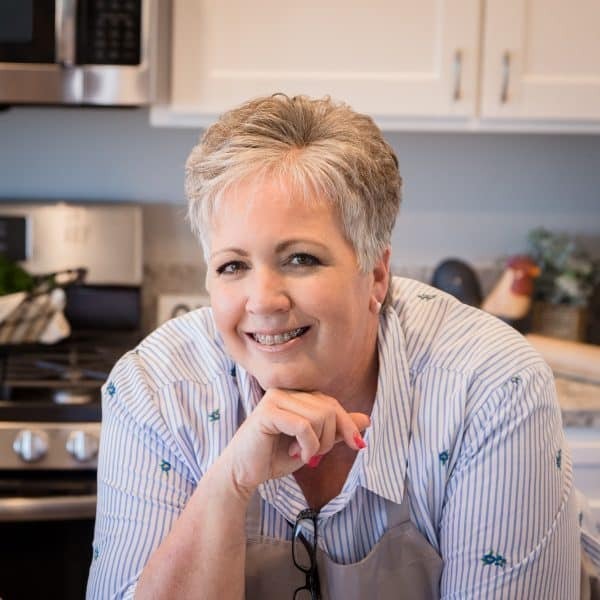 You can find my recipe by clicking here for homemade guacamole. I reduced this down and only used two ripe avocados! 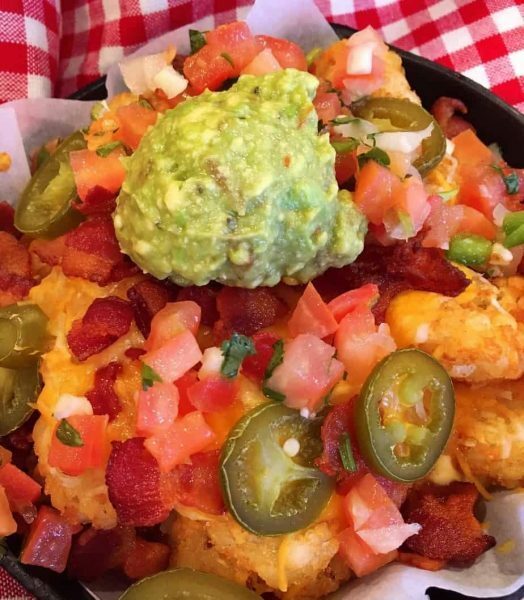 Remove the Tater Nachos from the oven and sprinkle with store-bought Pico De Gallo and a heaping scoop of your homemade Guacamole. This is such a wonderful appetizer or meal! I could have eaten the entire plate by myself. I didn’t! Even Mars gave this one two enthusiastic thumbs up! My sober tater’s Thanked me for leaving the beer out! It cut the “bite” out of this dish and it didn’t over power all the other spectacular flavors. This is another dish you can customize. 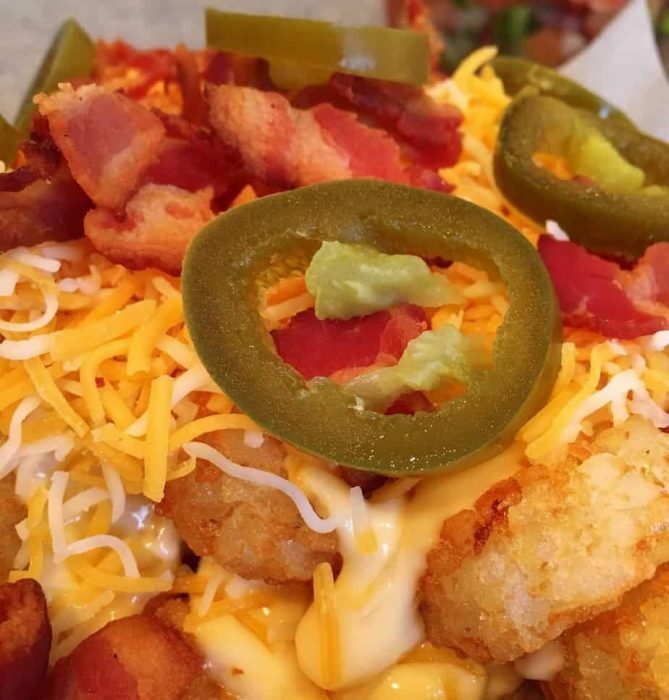 If you’re not a fan of Jalapeno peppers…leave them off. Not a “Pico” fan… switch it out for regular green onions and tomatoes. I’ll admit, I love the depth of flavor the different elements in the Pico lend to this dish. Don’t like bacon? WHAT’S WRONG WITH YOU! (Just kidding…kinda! lol) You get the idea. Make this dish your own. There you have it. My version of Loaded Tater Tots! 100% better than anything you can order at any restaurant! 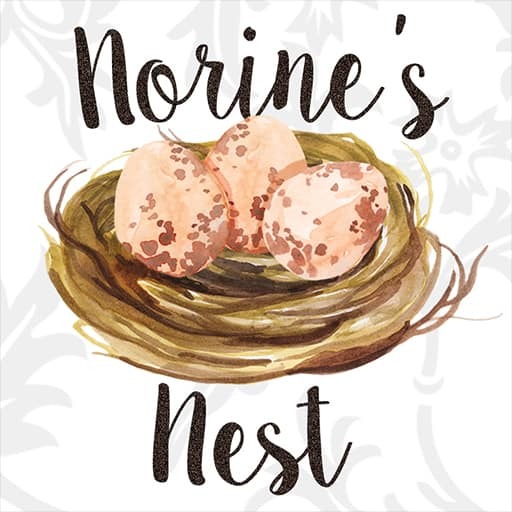 Sharing this yum over on Foodie Friday! 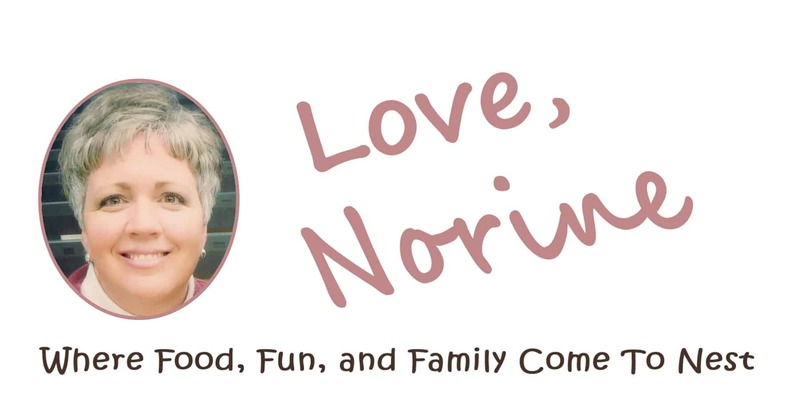 Click Here to Join the Fun! I know you’ll love this dish. What’s not to love?!!! Just don’t hate me for the new addiction! 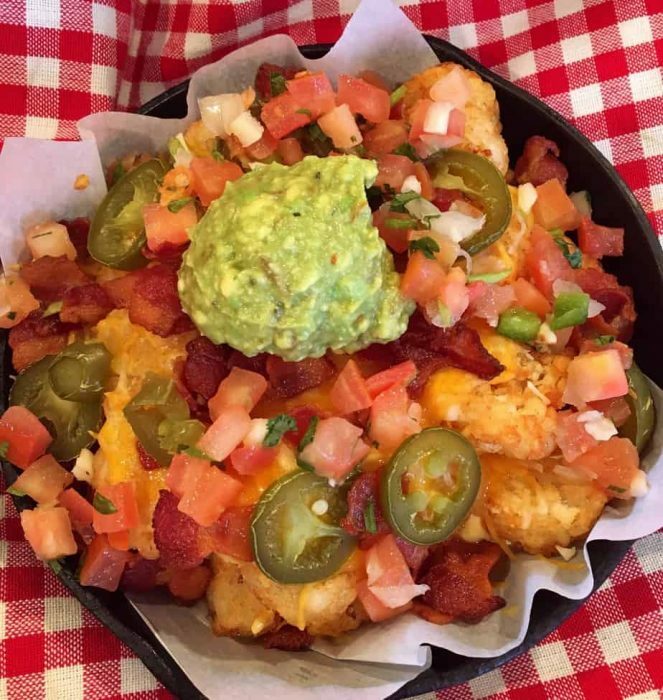 Crispy Golden Tater Crowns are topped with a rich creamy cheese sauce, more cheese, bacon, Pico De Gallo, Jalapeno Peppers, and guacamole for the BEST Tater Appetizer this side of the Rio Grande! In medium sauce pan, over medium low heat, melt 2 Tablespoons of butter. Whisk in 3 Tablespoons of flour until thick paste forms. Slowly Whisk in 1 1/2 cups of milk until thick and smooth. Season with Salt and Pepper to taste. Add 1/4 cup cubed cheddar cheese and 2 diced up string cheese. Mix until smooth and creamy. Add in 1/2 packet of Velveeta Cheese Sauce. Mix until smooth. Remove from heat and set aside. In a medium sauce pan fill with 1 inch of oil. Heat over medium heat until oil is hot. Fry Crispy Crowns by the cup full until you have cooked 1/2 the bag. Carefully remove cooked crowns from hot oil, drain on paper towel lined dish. Season with salt. Line small cast iron skillet or pie plate with parchment paper. Layer bottom of pan with half the fried crispy crowns. Top with several scoops of warm cheese sauce. Sprinkle with half the grated cheese. Add the other half of the crispy crowns. Add another couple scoops of cheese sauce and grated cheese. 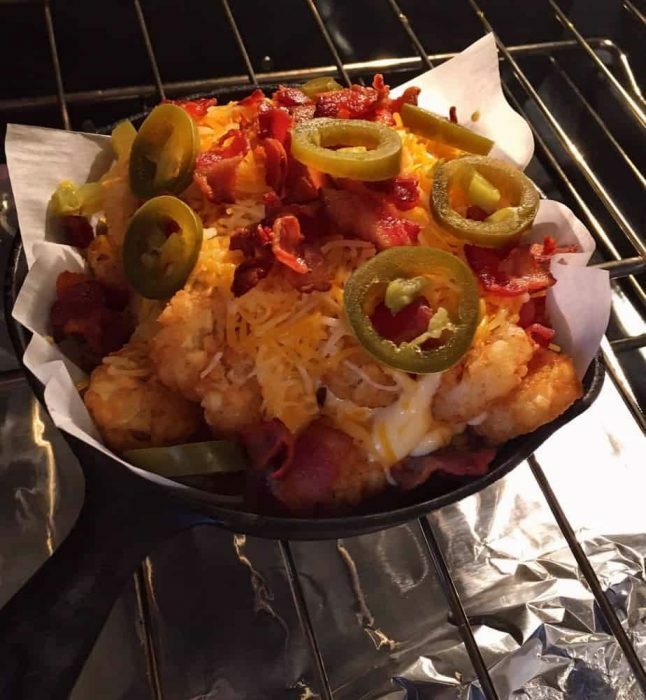 Top with bacon crumbles and jalapeno peppers rings. Make Guacamole while Taters are baking. Remove dish from oven. Top with a sprinkle of Pico De Gallo and several scoops of guacamole. Oh my goodness these look amazing! My family will devour them!